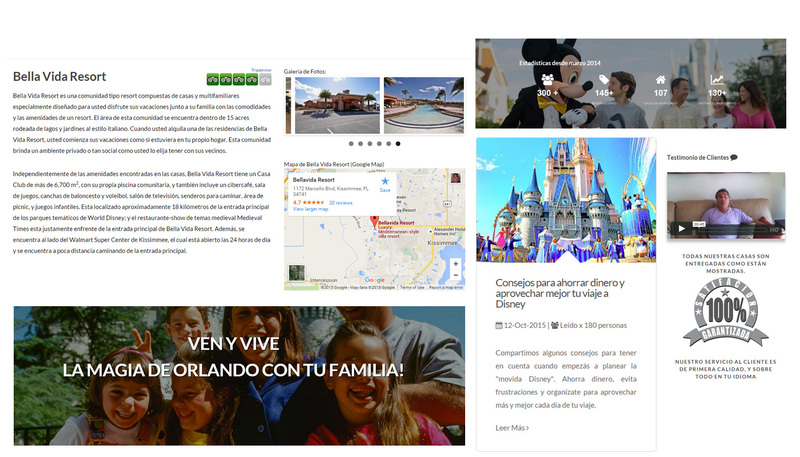 Ven Para Orlando is a website dedicated to rent vacation homes for Spanish speaking vacationers in Orlando, Florida. The site needed to be 100% responsive first because the target audience of this company use mobile devices and social media. The first version was a success but lacked certain elements to make it credible. For example. the Testimonial videos were placed in a individual page that was not visited at all. The home page did not have any credibility statement, and the articles section in the home page also lacked of related pictures. The Blog /Articles information page was very difficult to navigate, and the site has some issues with its usability elements. See below samples of the 1st version’s home page and the article page. 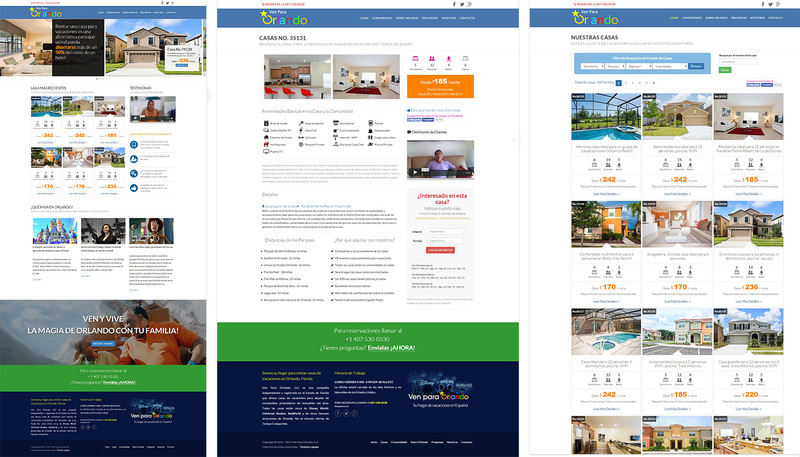 I spent a lot of time analysing VenParaOrlando.com because I wanted my redesign to be more than just a better looking version of the first version. I added some features to improve the global user’s experience of the website and increase credibility. The end results were very impressives and the visitors stayed more at the site than before. Testimonial videos were added to 80% of the site’s pages, and new credibility statements helped to increase booking. Now visitors can see images of the articles when they land on the home page. In addition, the site loads quickly because the back-end imagery was modified to access three different sizes of images instead of one big size. The back-end of the site (in both version) was done in Adobe Coldfusion 11 supported by a MySql database. I had done and created the database configuration, database implementation, front and back coding, plus the design concept, , usability, SEO, and user-interface design of this site.